Our client was seeking something to use at a specific event that looks high end but within a tight budget. The item could be cushions or decorations. Our client only wanted a small amount of product and had a budget of $200 per unit to spend on unique decoration for their Henkell Trocken Sparkling Wine event. Obviously we needed to study the brand, the bottle and the bubbly (of course) to truly understand it. 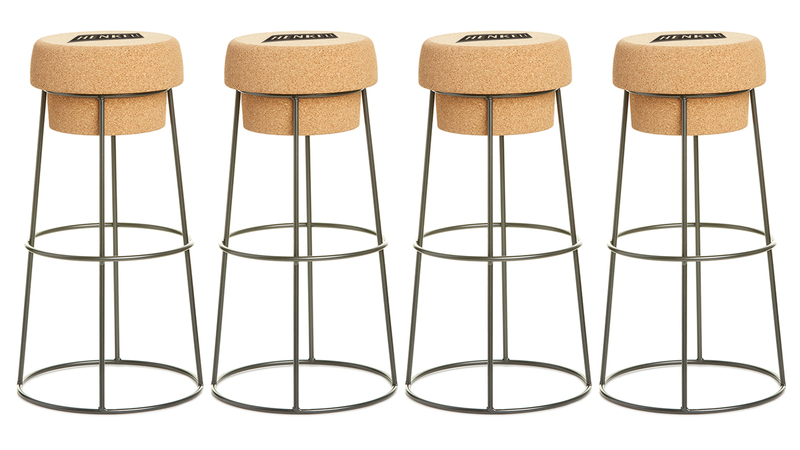 It was while we were playing with the cork that we came up with the idea of a bottle cork stool. We wanted the brand to look authentic and have cut through at the event. We presented the client with some options and the idea of the logo being ‘branded’ onto the cork, they loved them, chose one style and we were away. The stools looked sensational in the space and the client was extremely happy. Bonus: The guests wanted to know where they could purchase the stools!